Experiences in life are 4D. They aren’t linear, and there always seems to be four or five different themes going on at the same time. So when people ask me about Brazil, I either give them a few standard lines that I’ve said before, or if I can see they are looking for a more detailed response I usually ask them for a moment and then try and rack my brain for some sort of theme or experience I think might appeal to the person asking me. For this post, I’m going to speak to one of the most powerful and practical “themes” of my time in Brazil. The title of this post is actually a Heidi Baker quote, “Love looks like something, yet it has no limits.” I can’t remember when I first heard this quote, but it’s the essence of a deep and confoundingly simple revelation I received while at the Iris Global school in Brazil. I’m sure you probably can already guess where I’m headed with this, but let me ask a needed question. What’s the purpose of missionary work? To feed the poor? Provide clean drinking water? Set-up a health clinic for a week? Maybe microfinance a small business? These are all awesome things, but maybe just slightly missing the real bull’s eye. I believe the purpose of missions is for people to have love encounters. I know this sounds like blissfully simplified theology and/or fashionably hipster. But when you get it, like I got in Brazil, it’s compelling, supernatural, and deeply satisfying. Let me share a glimpse of how God revealed this truth to me. There’s a place in Rio de Janeiro our school visited called Gramacho. Literally it’s a dump. A large landfill where garbage was dumped every day for 34 years until it closed in 2012. Thousands of people live in this place. Children grow-up here, and their parents make their living from the items they retrieve from the garbage. It’s an unimaginable life, for almost any American, and even most Brazilians. It’s a truly devastating situation. Here’s the part that really got me though, at Gramacho people get “saved” frequently. Sometimes it’s even weekly. Christians come in, hand out some food, and the people “accept Jesus.” But their lives aren’t changed. They still live in the dump and their daily lifestyle isn’t any different than before. But some amazing heroes of mine are beginning to change that story. They are Brazilian Iris missionaries, who know Jesus, and know that He desires, more than anyone, to see this situation changed. They have built real relationships with the people living in Gramacho. They listen to their stories, they laugh together, pray together, eat together. And often they help meet physical needs as well, like caring for their wounds, giving them food, and taking them places. But their focus isn’t on what they are “doing” for the people of Gramacho. Their focus is truly loving them. And because of their genuine love, people are having supernatural encounters with the living God. 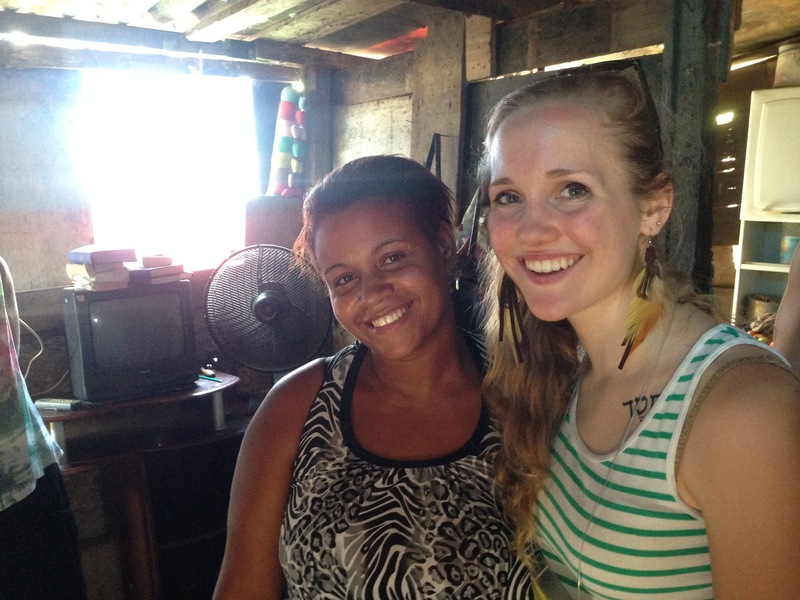 There are many stories of inspiring individuals I could tell you about, like Adriana (seen below) who encountered God supernaturally one day when Stephanie (an Iris missionary, who’s given up her career as a Brazilian model to serve and love these people full-time – shown in picture above) was simply talking and laughing with her. Adriana is now a powerful woman of prayer, she takes care of her seven children and her disabled mother, she runs a small store, she’s a preacher, and God has told her that she will not always be living in the dump. She has become like a spiritual mother to Stephanie and their bond of love for each other is unlike anything I’ve ever seen. What’s also exciting is that God is providing ways for the people to literally get out of the dump. Land has been purchased, where houses will be built and Iris missionaries and many of the people from Gramacho will live together in these homes. It’s hard for me to translate my experience in Gramacho through words alone. Because what’s going on there, the interactions between the Iris missionaries and the residents of Gramacho is something so special. It’s so real, that words alone can’t do it justice. It’s real love that’s happening, and it’s changing everything. 1 Corinthians 13 is probably one of the most famous chapters in the Bible. Paul goes through a list of really awesome things; like giving away all you have, and having faith to move mountains, and understanding all mysteries. And then he says, “but if I have not love, I gain nothing.” Why? 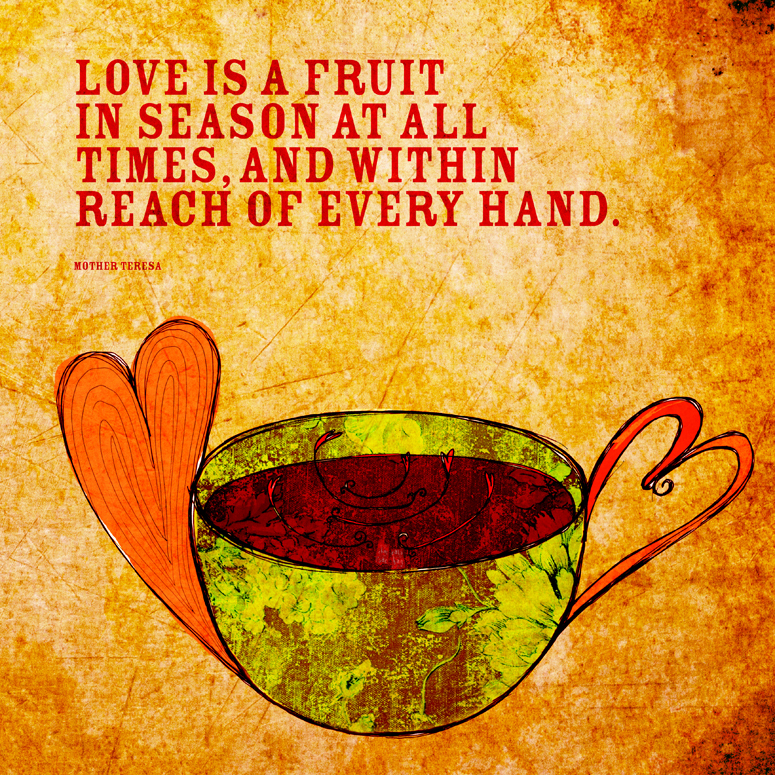 Because love is the essence of God. Love is who He is, and it’s what He’s given us. But what really is love? I don’t think I can sum it up much better than John did. I used to think love was too simple and weak to really be the gospel. But then I’m reminded that God chooses the foolish and weak things of the world to shame the wise (1 Corinthians 1:27). I’m reminded that Jesus said that the whole Bible (which was the law and prophets back then) are summed up in two commandments, “Love the Lord your God with all your heart, soul, and mind. And love your neighbor as yourself” (Matt 22:36-40). I don’t live out this revelation of His love. But I want to, more and more each day. Loving the one in front of me. Loving not in word or talk, but in deed and truth (1 John 3:18). This could look like smiling at the cashier at the grocery store, it could look like holding someone close and just listening, it could look like sharing material possessions, or giving that stranger a ride to the bus stop. It could look like verbally sharing truth through the word of God, or moving into the bad part of town to build relationships with single moms and people addicted to drugs. “Love looks like something, but it has no limits.” This revelation on love truly is so simple, that I almost feel silly that I never really “got it” before Brazil and Iris ministries. But I feel like He’s now given me “eyes to see” and with these new eyes He’s giving me the opportunity to love Him more, by loving His precious children. Not loving them with my own affection that is inclined to take and not give, but with His perfect, sacrificial, and steadfast love. This entry was tagged Brazil, Gramacho, Heidi Baker, Iris Ministries, Jesus, Love, Love Works. Bookmark the permalink. Thank you for the encouraging blog post. 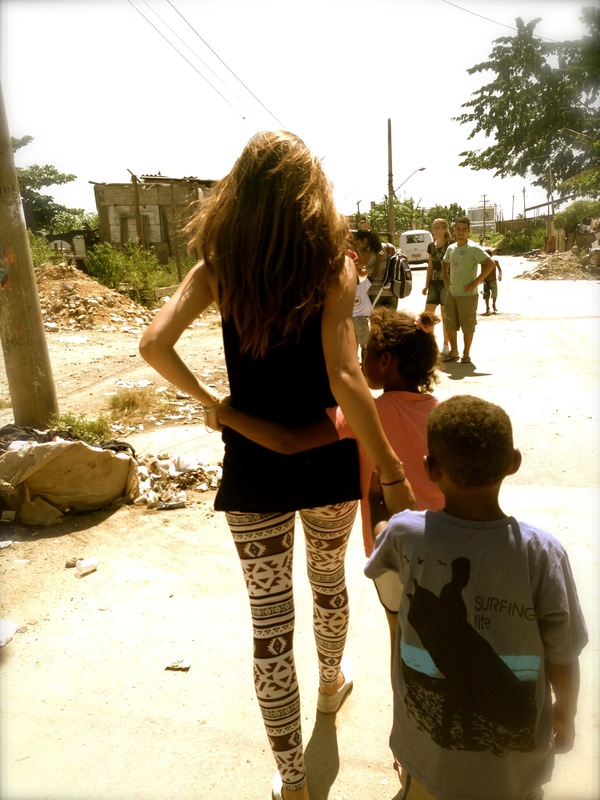 What Stephanie & you are doing – to love like Jesus – is so inspiring! Also do you have Stephanie’s Instagram user name? I used to follow her but lost my Instagram password and have opened another acct and would love to follow her journeys! Thanks again for displaying Jesus’ love brilliantly!! Hey thanks for reading my blog and yes Stephanie’s instagram user name is stephannieo. Hope that helps! Thanks and many blessings to you!! this…. Thanks for the meal!! But yeah, thanx for spending the time to discuss this issue here on your internet site. Hi, what city are you from? I love your writings, its crazy how i found your website. Definitely a God thing… WOW. So cool!!! Thanks so much! That’s encouraging to hear. I’m from Lititz, PA. Where are you from?